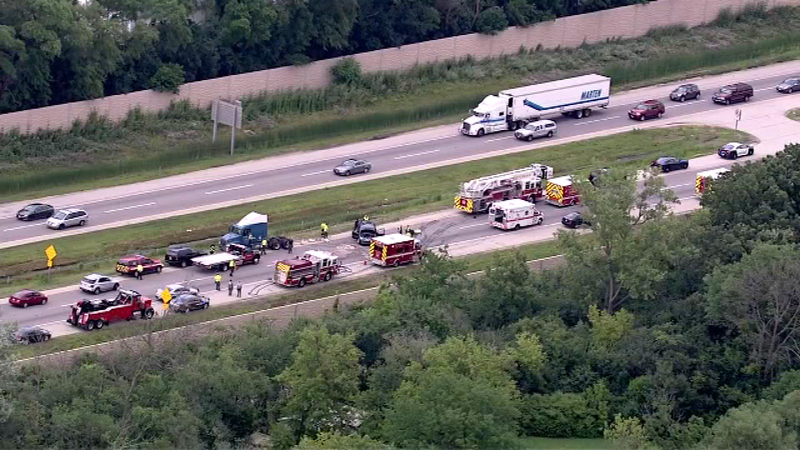 NORTHBROOK, Ill. (WLS) -- All lanes have reopened on the Edens Spur at I-94 and Lee after a crash that injured seven people, Illinois State Police say. State police say four people were taken to Highland Park Hospital and three people were taken to Glenbrook Hospital with non-life threatening injuries. The cause of the crash is under investigation.